To provide quality care within a warm Jewish environment. Ensuring that a warm, homely atmosphere is enhanced by the observance of Kashrus, Shabbat and other customs and events unique to the Jewish culture. 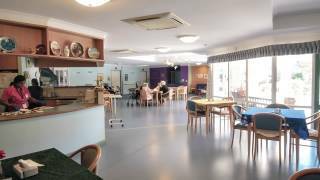 Assisting residents achieve quality of life through recognition of their individual physical, social, spiritual and cultural needs whilst maintaining optimal independence. Having competent and motivated staff provide holistic care in a safe and comfortable environment. Ensuring that the individual rights, choices, dignity and privacy of each resident are respected and promoted. Promoting continual quality of improvement of systems within the Home by constructive collaboration between residents, their families, advocates and staff. Providing and maintaining an environment which fosters empathy, compassion, trust and honesty. Providing the highest possible standard of care.